I have also been informed of quite a few Bass being caught and returned from West Bexington and Cogden. It is unusual to find Bass along Chesil at this time of year. I am certain that it has a lot to do with the sea temperature. Having looked back over the past 3 years at the temperatures recorded from the monitoring buoy on Chesil, it indicates we are well above the average. It is normally around 7.8°c, current stats show we are averaging 9.8°c for the first half of this month. For the first time in weeks the Weymouth Charter fleet managed to get out this week. Allan Yates our boat reporter managed a trip out with CLem Carter on Wild Frontier. After such bad weather and with the water visibility still low, expectations were not high. 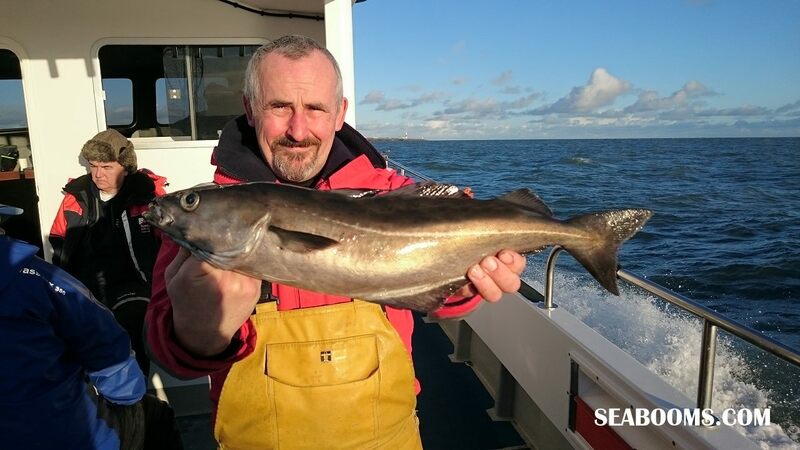 However fish were found on the mid channel wrecks, mostly Pollock, but Allan reported seeing one of the anglers catch a Coalfish. Allan says that it is the first one has has witnessed being caught from a Weymouth boat. As you may have seen over the past couple of months, we have featured a few kayak articles and we hope to bring you a lot more in the future. Irene Hodgson has recently taken delivery of her brand new Kaskazi Dorado 2 kayak. Over the course of the next few months she will be fitting it out ready for the fishing season. Irene will be taking us through why she chose her new kayak and how she will be getting it ready. All this talk of Kayak’s makes me want to take advantage of the settled weather that is forecast for the next week. I am very keen to fish the Swanage Kayak open in May this year, so I need to get in training. I know that even this month Portland Harbour is a good place to get a number of species from the Kayak. My main problem at the moment is that I don’t have a dry suit. If any of you Kayaker’s out their can recommend one, then please message me or leave a comment. I don’t want to break the bank, but I do want something that I can rely on. Hopefully most of you will have seen Leo’s reel review this week. 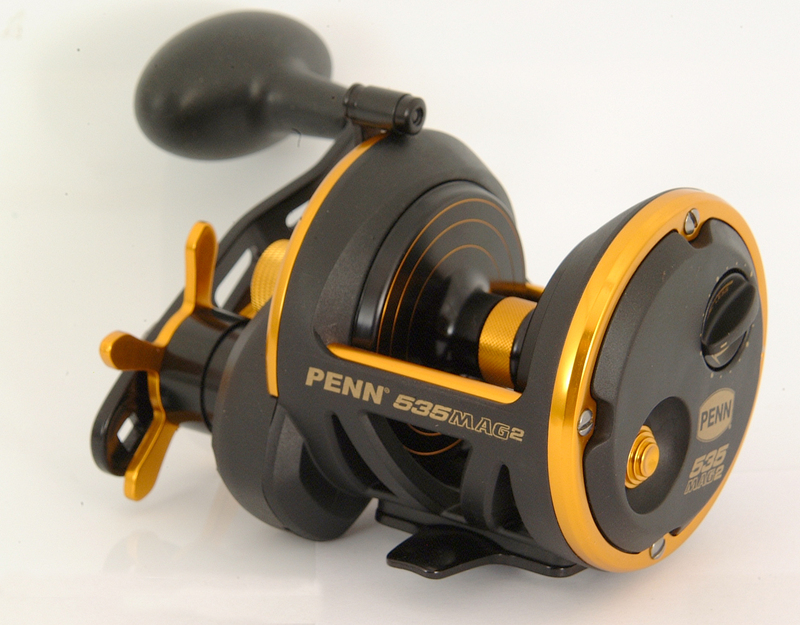 If you didn’t you can find his review of the Akios 656 CTM here If you are looking for a larger and more powerful reel, then I can recommend the Penn 535 Mag2. I have used several versions of the Penn 535 over the years. I have found it to be one of the best reels for heavy UK shore work, and brilliant for light boat work. The Mag2 version gives me great confidence in being able to cast big baits using heavier lines without birds nesting. We hope to bring you a full review in the near future. 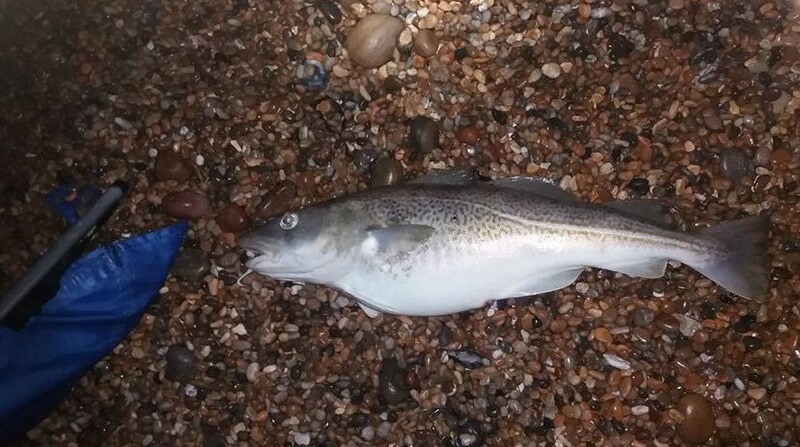 Chesil Beach forecast: So it would seem that there are Cod and Bass on the beach, especially down the western end. Expect Dogfish, Pout and small Whiting all along the beach, with the chance of an Undulate Ray towards Ferrybridge. Portland: The water is starting to clear a bit. This is a green light for me to go and try and find some Wrasse. I will be hitting the deeper ledges around Portland Bill to see if I can find them. If I do, I will have a go with lures in the shallow boulder fields, but I don’t really expect to find them there. If it continues to clear I would expect to see some Pollock, especially at dawn and dusk. It has been ages since I have had a go for them and I can’t wait to get the lures out and catch a few. Portland Harbour: Nice calm conditions, should make for pleasant conditions if you are targeting Flounder from the shore. Most areas in the harbour will produce Flounder, with Ferrybridge and Hamm Beach being the top marks. As I mentioned earlier the harbour will produce some nice fish from the Kayak or small boat. The hood entrance is always good for Pollock at this time of year. There is also a good chance of a double figure Thornback in the deeper water. Weymouth Bay: Preston Beach should be good for Dab and Flounder, with plenty of small Whiting and Pout at night. The night tides also produce a number of different Ray species. The piers are always a good bet at anytime of the year if you need a fishing fix. Sheltered in most weather and plenty of species to be had. Mostly the fish are small, but if you scale down and use light gear, you can have great sport. Fishing Tails > All Articles > Reports > Chesil Beach > Are things looking up? 5 Responses to "Are things looking up?" Nice report and also I would like to reiterate how good the Penn 535 Mag2 is….. I have had mine now for a couple of years and it awesome. I had never owned a multiplier before and after a few practice casts up at Westbury White Horse I used it in anger and boy was I impressed! I have used it from the beach and and mainly I use it boat fishing the Bristol Channel where it easily handles Congers, Skate and a 10lb Cod on my last trip out! Very interested in your hunt for Dry-Suit as with restricted funds picked up a used ocean kayak Prowler13 but find most Dry-Suits are about the same. Worth the money I know but……. Thanks for that information Neil.